Coming on the heels of Apple's rumored experimentation with larger screened version of the iPhone, KGI analyst Ming-Chi Kuo believes the Cupertino company will release a handset sporting a 4.5-inch to 5-inch display. On Thursday, The Wall Street Journal reiterated that its sources within Apple's supply chain are seeing the company testing various screen sizes for future iPhone models. Kuo's predictions are somewhat in line with those expectations, but the analyst said anything larger than 5 inches is unlikely. 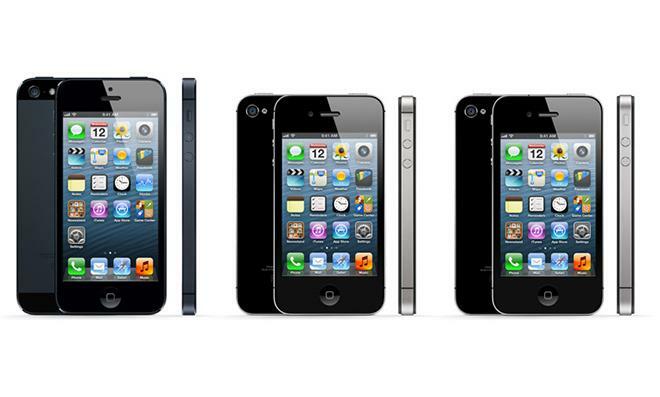 In a note obtained by AppleInsider, Kuo points out that Apple will extend the iPhone 5's in-cell touchscreen technology to next year's handset lineup, bumping display size to 4.5 inches, or 5 inches. The analyst notes Apple is less likely to use anything larger than 5 inches due to the company's "unwavering principle of one hand use." Apple last changed the iPhone's form factor with the current generation iPhone 5, upping screen size from 3.5 inches to 4 inches. Instead of increasing the phone's width, Apple chose to stretch the screen's height, allowing for easier one-handed operation. So-called big-screen "phablets" have become increasingly popular, with Samsung leading the way in terms of selection. The Korean firm's Galaxy Note III, which was just released, features a 5.7-inch display, while the Galaxy Mega comes close to being a small tablet with a 6.3-inch screen. On a separate note, Kuo believes Apple will shift its entire iPad lineup to GF2 touch technology moving into 2014, eliminating the glass on glass setup seen in models like the current 9.7-inch iPad. The iPad 2 will be the sole remaining tablet to use the tech after the switch is made. Apple's refreshed "iPad 5" and "iPad mini 2" should be out by the end of the year, Kuo said, with mass production predicted to start in quarter four.